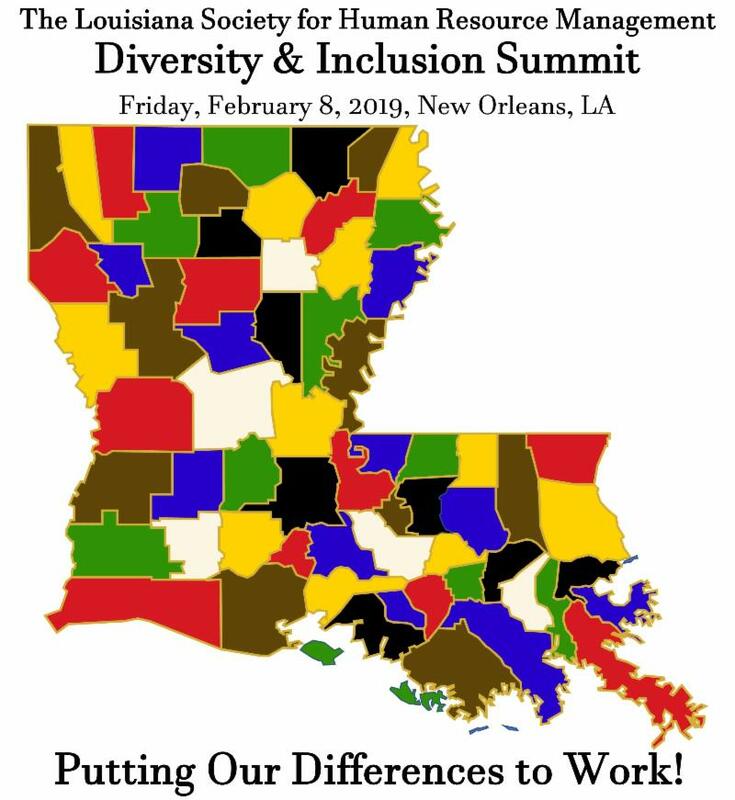 The Louisiana Society for Human Resource Management State Council (Louisiana SHRM) is excited to present their 4th annual Diversity & Inclusion Summit, February 8, 2019 in New Orleans, LA. Join us for a day of formal learning sessions, informal discussion and networking with HR professionals, diversity practitioners, legal professionals and business, civic & community leaders. More details coming soon, so mark your calendars for February 8, 2019* and start planning now to be there! *Louisiana SHRM will host an immersive welcome reception for all attendees on Thursday, February 7, 2019 at 6 PM.